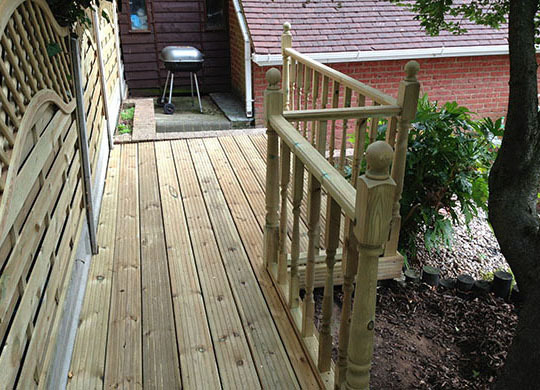 Wood decking has great aesthetic appeal, while providing a practical, affordable and valuable extension to your useable outdoor space. Our bespoke design service, using the highest quality timber, will enhance any open space. We also pride ourselves in offering the perfect finishes, including handrails, steps and lighting, to complete the look. Quality wooden decking can provide an attractive but practical addition to any residential or commercial property, such as pubs, cafes and restaurants, offering a welcome extra space to entertain or just sit and relax.